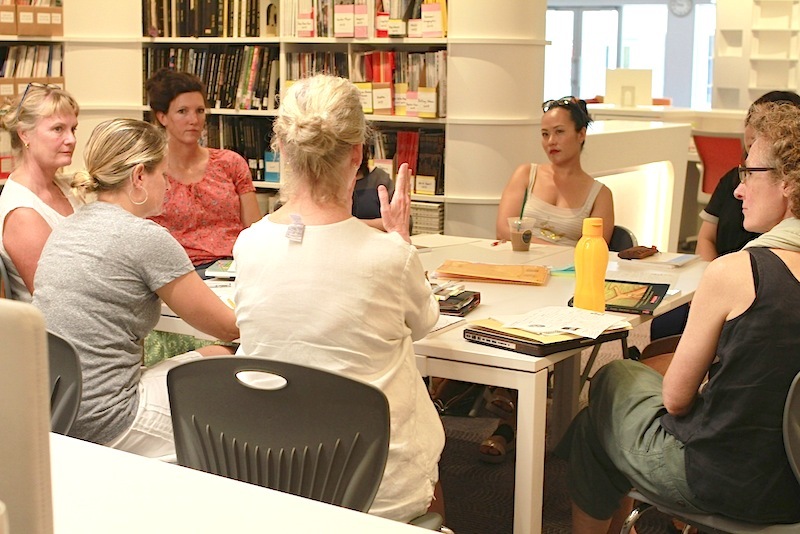 ASIJ teachers returned from summer to a new school year, new classes, and a renewed focus on student learning. In the week before school formally commences, teachers usually spend time preparing curriculum, materials and classroom spaces in anticipation of the people that matter most to us—our students. This year, we also dedicated a full day to gather together for an in-house Teaching & Learning Conference at the Chofu campus. Educational researcher John Hattie argues in the book Visible Learning for Teachers that “…the greatest effects on student learning occurs when teachers become learners of their own teaching, and when students become their own teachers.” The theme for our professional development day was: Developing the mindsets of design thinking in our learning programs. PURPOSE: (The Why) To continue to learn and apply strategies and ideas to our learning programs that help us increase the capacity of our learners to be problem finders, to be innovative, creative and collaborative. TASK: (The What) To design / upgrade / plan one unit in each semester to provide students with an opportunity to intentionally practice (parts of or) the full design thinking process. THE CONFERENCE: Teachers were asked to nominate for at least two facilitated sessions on this day allowing two other sessions for personal planning around the strategic tasks designed for this year. 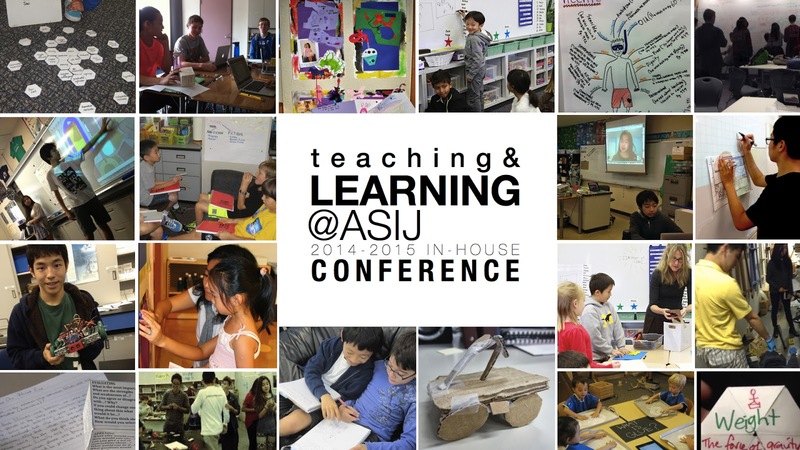 The conference was designed to offer lots of choices because we know all learners, whether students or adults, value the opportunity to choose what, how and with whom they learn. 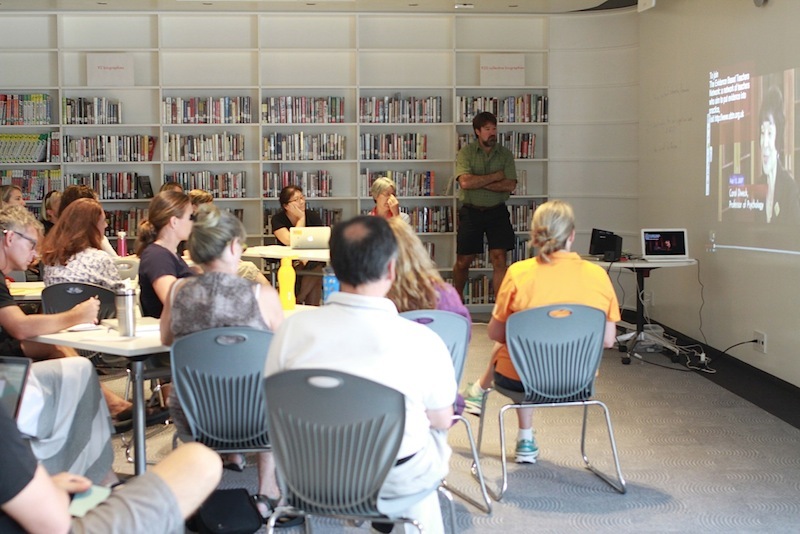 Hour-long workshops included discussion forums, simulations, demonstrations and ‘try-it’ workshops facilitated by teachers, members of NoTosh (educational consultants working with ASIJ), and members of the administrative team. Sessions and topics included ‘fostering a growth mindset’, ‘feedback to increase effort’, examples of Design Thinking projects shared by teachers who had already implemented them, and ‘Master classes’ with NoTosh on empathy, prototyping and activating students as owners of their own learning. “I really loved how the conference was set up. I had time to digest what I learned in our workshops and incorporate ideas into my own planning. 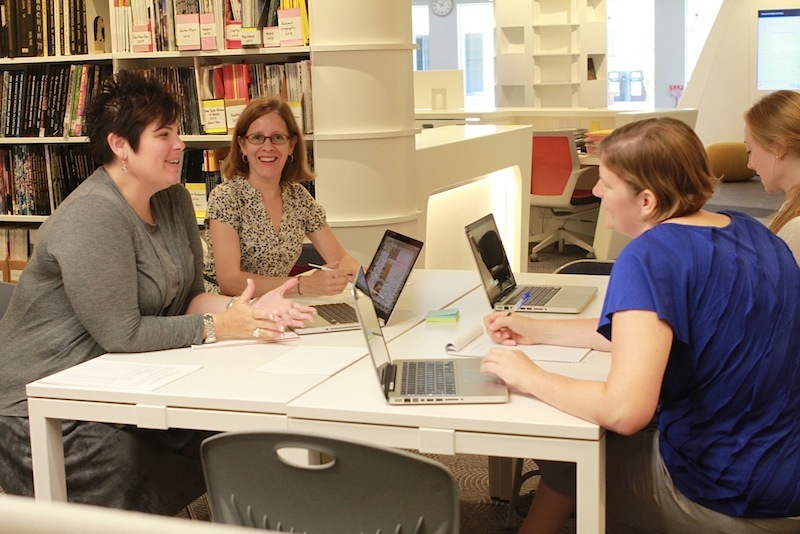 I enjoyed being able to collaborate and work with my peers and exchange practical ideas for applying design thinking.” —Angie Iagaru, new HS English Teacher. 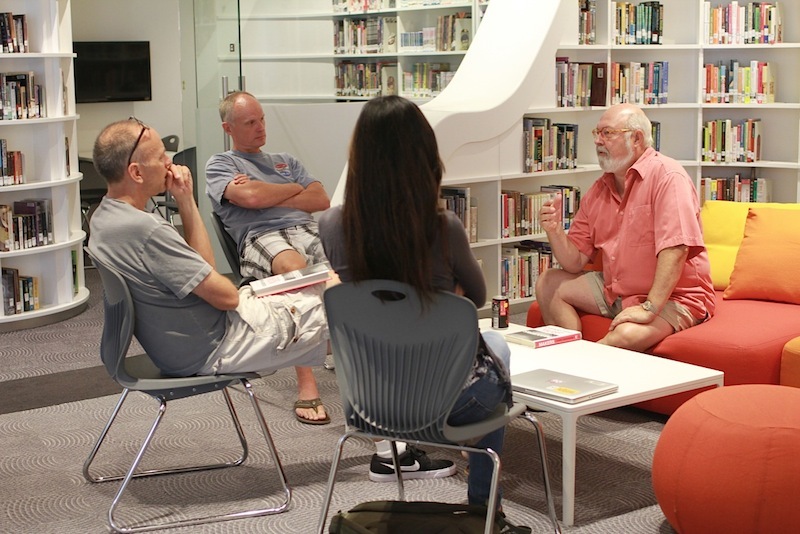 “The mini workshops allowed me to analyse and reflect on my own teaching practice. Do I give students formative feedback that nurtures a growth mindset? How might I do a better job at this? The workshops also motivated me to read Carol Dweck and John Hattie’s books. I wish I wasn’t so jet-lagged because I want to start reading these books tonight. Thanks for offering all of the choices today, and thanks to all of the people who presented. 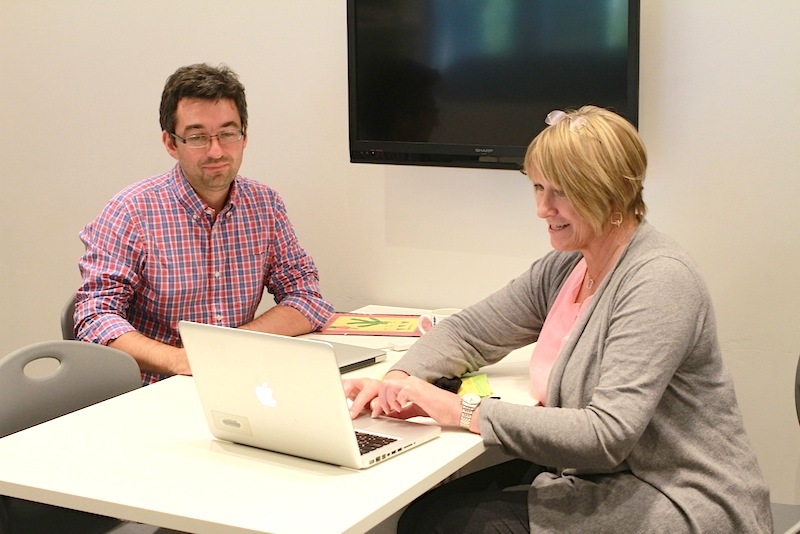 You inspired me to do better.” —Tanja Kerb, MS Librarian. “TED talks! They provide a great springboard for discussion and learning. I loved the one I attended on “How to Build Your Creative Confidence”. Good ideas were shared by all. And, I appreciated being able to collaborate with one of the grade level teams on Digital Citizenship.” —Ellen Thomas, new ES Counselor. “The presentation on the Visible Learning with the emphasis on proper feedback was a great and helpful reminder at the start of the year. I enjoyed the time to plan with my colleagues. The question session for science and math helped me to clearly see how the Design Thinking process parallels Bloom’s Taxonomy.” —Peter Dohrenwend, MS Science Teacher.